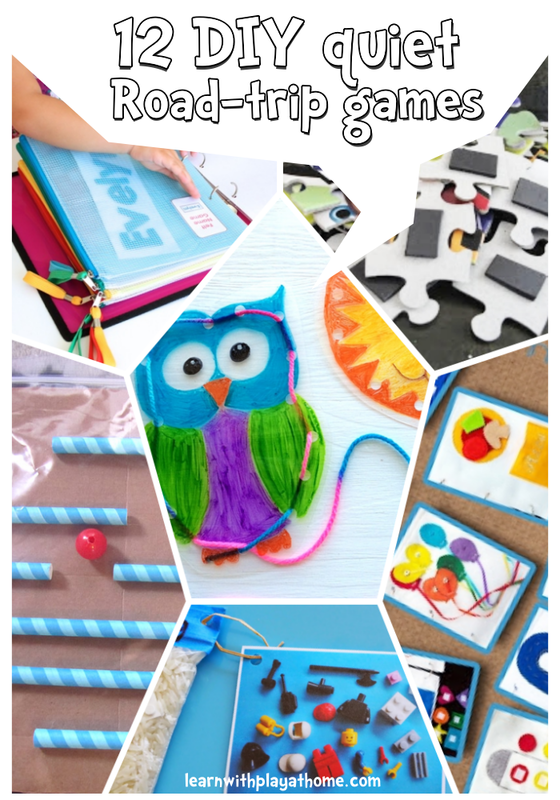 Looking for ways to quietly entertain the kids on long road-trips? Look no further than this great collection of 12 independent road-trip activities that you can make yourself at home. This post is sponsored by GT Radial Tyres and Nuffnang. We spend a lot of time in the car. Usually just driving short distances between locations like school, the shops, friend's houses and home. Now that we have a caravan though, our road trips are becoming more frequent and the time we are spending in the car is increasing as we venture further and further away from home. Driving is just a way of life for us but there are a couple of things that concern me about having my kids in the car. First and most important to me is their safety, as we all know how dangerous driving can be. I'm also aware of trying to keep my kids' minds active over long trips when they are unable to be physically active. Car safety is an important issue for me and is something that I've become a lot more aware of since having children. After all, I'm transporting around the most important people in the world to me, and I want them to be safe! Whilst I'm aware of various features in my car to improve safety, something I'd not given a lot of thought to have been the tyres I'm choosing. Read more at the bottom of the post about how to improve your car's safety. Keeping my children's mind's active on longer road trips is also important to me. Whilst we try and break up the journey with toilet and park breaks, there can be long periods of time that they are sitting motionless. We do a lot of singing in the car and there are always lots of interactive car games we can play, but sometimes, to be honest, I just want a little bit of peace and quiet. Often when we've exhausted all our kids CDs, played more licence plate games than we can bear and the kids are left to their own devices, that is when they start to squabble or whinge. 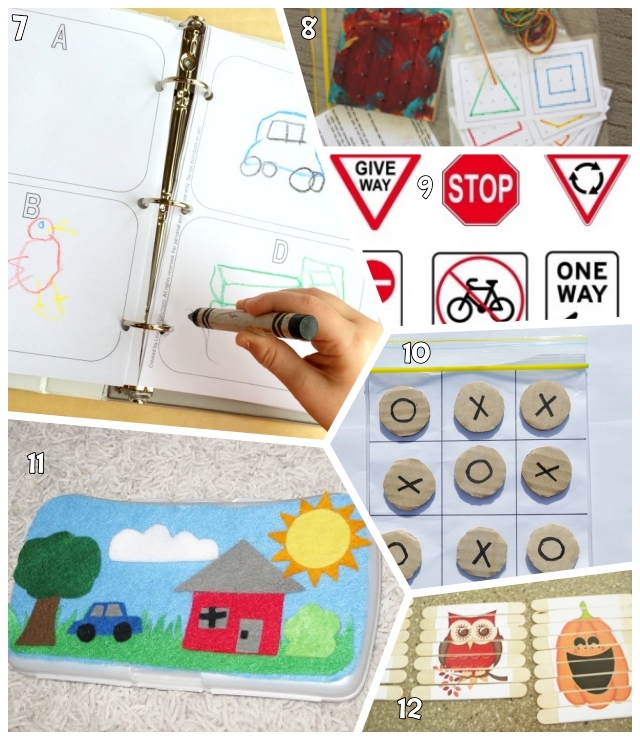 Having a handy supply of quiet independent activities suitable for the car, up your sleeve, can be an absolute sanity saver (and allow the driver to give their full attention to the road. Another safety issue)! 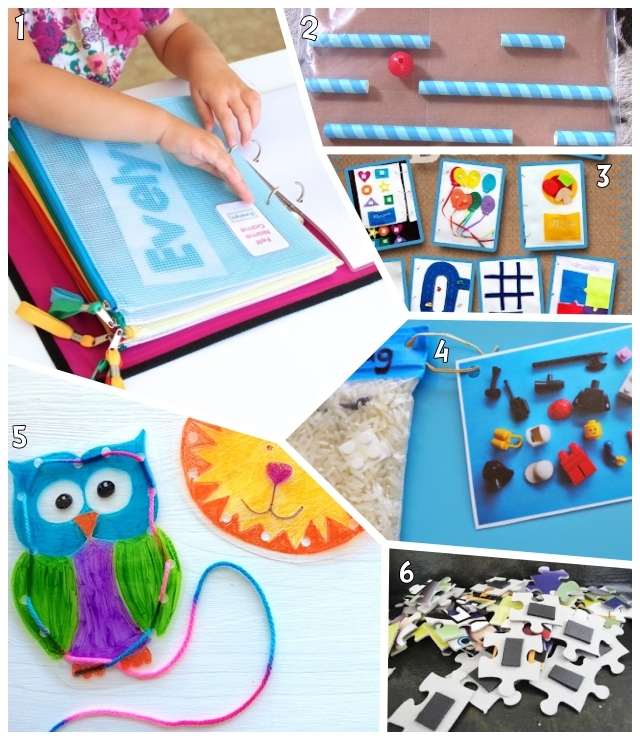 Here are some fabulous ideas I've found for quiet busy games in the car that you can make yourself. 4. Make I-spy bags like this Lego one that we made. 8. Make a geoboard and use these free printable geoboard activity cards from Just for Daisy. 12. Make craft stick puzzles like these ones from FlipChick Designs. You could even add magnets and use on a baking tin for less chance of dropping them. Safe Behaviour. Model safe behaviour to your children in and around cars. Car Performance. Ensure your car is serviced regularly (as recommended by the manufacturer) so that in the case of an emergency, you know your car is going to perform as expected. I've recently learnt more about tyre safety and in particular, GT Radial tyres, which I will now be asking for when my car is next in need of tyres. For starters, they are the only tyre recommended in 5 Australian CHOICE tyre tests in the past 5 years, out-performing many famous and premium tyre brands. I was also impressed by their results when tested by Safe Drive Training (a leading Australian driver education organisation) in a controlled wet braking test at 100 kmph, where they stopped 11 metres shorter than a 'budget' tyre and 1 metre shorter than a more expensive "premium" tyre. The difference is actually quite staggering and I shudder to think of the impact of the difference in my car travelling even an extra 1 metre when I'm trying to brake suddenly with my kids in the car, let alone an extra 11 metres! GT Radial tyres actually scored up to 90% in the wet braking tests and stopped quicker than almost every other brand in all 4 tyre tests, which is reassuring but definitely makes me think about how my current tyres would perform in comparison. They are also a more affordable tyre and offer a free 5 year replacement guarantee. Whilst in the past, asking for a particular brand of tyre has not been high on my agenda, I will be paying much closer attention because I now know that the difference in my overall car's safety can definitely be affected by my tyre choice, and I want the confidence in knowing I'm keeping my children as safe as possible while we're driving.